Moving to Streatham, SW16 | Call Us Today! At Moving Service we know that no one’s house or office removal is the same as other's. That is why we always offer a personalised service to each and every one of our clients. So, if you have special business equipment or fragile items which need moving, our team can come out and give you an honest assessment. Based on this, we can create you a tailored removals quote that can give you the perfect house or business removal in Streatham! With our team on side, you can relax safe in the knowledge that your business or home is in the best possible hands. All of our packages are also available at incredible prices that you won’t find anywhere else. For a basic quote you can e-mail our team any day of the week or phone 020 8746 4402 for quick quote. Our removals team in Streatham, SW16 are sure to impress you with their excellent knowledge and will never leave you wishing you’d phoned anyone else instead. If you’re not sure about the area in which you’re moving to, then don’t be afraid to ask us for some advice. Our team know everything there is to know about the local SW16 and SW17 areas and will always be happy to point you in the right direction. For help with some of the basic points we’ve even put together a handy area guide below. The area is a district in the London Borough of Lambeth and is 5 miles south of the central Charing Cross hub. In the 1950’s it had one of the longest and most popular shopping streets in south London and was a favoured place for entertainment-goers. However, following the rise of Croydon and Kingston the area suffered from a retail depression and saw many of its famous shops closed during the 1970’s and 80’s. 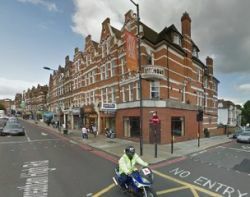 Left with many empty units, high traffic congestion and a growth in crime, the Streatham High Road was voted the worst street in Britain in 2002 and has since become the focus of a number of regeneration projects. As a result, SW16 and SW17 house prices are on the rise though they do tend to remain below the current London average. The area is served by an over-ground station in zone 3 of the London transport districts and does not have its own tube station for commuters. There are nearby tube stops to be found on the Northern Line however, including Tooting Bec, Balham and Clapham South. Streatham Common is a beautiful leafy expanse in the area and is a great background to the main High Street and the old Victorian houses which line some of the leafy suburban streets. Experience A Move To Remember With Our Removal Services! Once you’re happy that your move is definitely for you then don’t forget to give us a call on 020 8746 4402. Our removals company in Streatham, SW16 is known for offering the best all-round moving service and is guaranteed to offer you the best price in town. So whether you’re looking for van hire, van and man or comprehensive removal services, get in touch with us for some advice today. All of our Moving Service services can be tailored to meet your specific moving requirements and can be mixed and matched until you get a package that suits your moving budget. If you’re not sure how best to approach your packing or furniture removals in Streatham then you can even check out our handy moving tips online. Written by our team of experienced movers, our guides are sure to give you the support that you need to really get going. I booked this home removal company to take care of my move from my old flat to a new, 2 bedroom home in Streatham. Even though I did not have much to move, they were considerate of what I did have. Very competent movers, will hire Moving Service again if necessary.